More Good News: A New Endeavor! 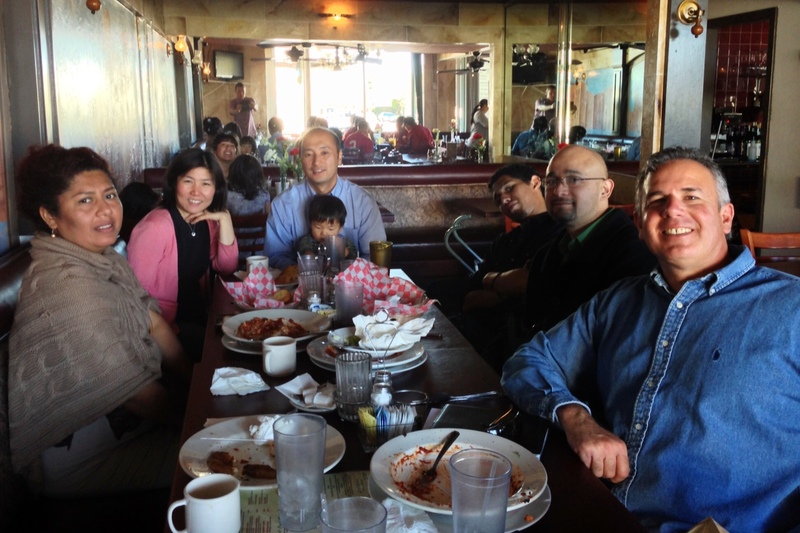 Sunday afternoon Dawn and I had a wonderful lunch with our friends who are involved in the ESL ministry. It warmed my heart to be with these dear friends. I love the privilege we have to serve with them. At our meeting we discussed our goals, how to improve, opportunities, needs, etc. 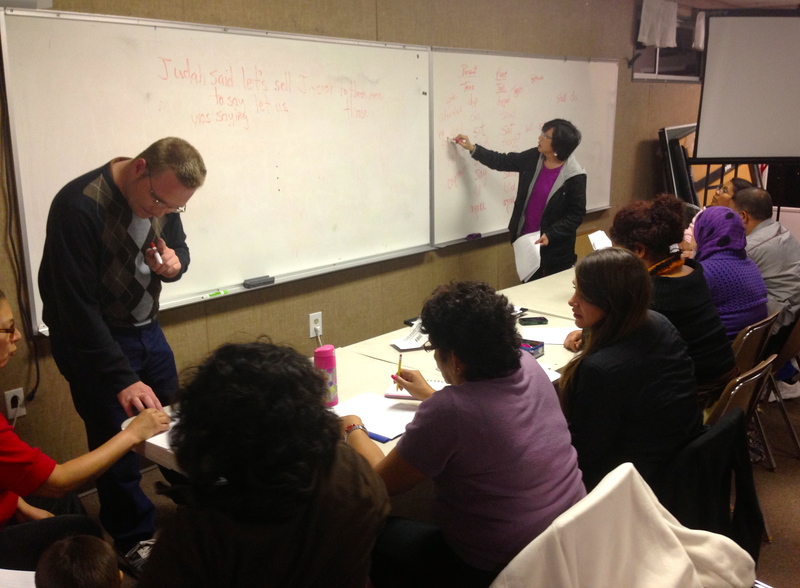 One of the things we decided is to start a third ESL class. I wrote a few weeks ago about how the Lord opened a new door for us at a local elementary school. Now we are ready to walk through that door. It’s our next new endeavor! An expansion of our ESL ministry. This will be the first class that we are not holding on the same campus that a church is on. We believe this will remove what could be a barrier for some people who aren’t quite ready to go to a church, even if it’s just to learn English. Some of the people we are meeting come from backgrounds that would make it difficult to go to a church, or at least it’s a big barrier for them. For example, one of the people we invited a couple of weeks ago seemed interested, but once we told her that the class was at a church she handed the flyer back to us. We are so excited that we can hold our English class on another campus. This will enable us to reach some new people. Our prayer is that we will be a blessing to the community. The light of the gospel goes forth as we bless the city. The Lord uses this to draw some who are far away to himself. There are still a few hurdles we have to get over to be able to start the class. I have to fill out some paperwork, and get approved to use a classroom at the school. That is the main hurdle. We also have to promote the class, and pray that people will come. Thanks so much for standing with us in prayer. When I send out these posts and updates you write back and say you are praying. I know that is a big reason the Lord is blessing. A number of friends are lifting us up in prayer. Pray with our teaching teams as we seek to get more organized and do an even better job teaching English. We’d like to start up our new class the first week of May. That the Lord blesses our efforts as we promote the class to get more students. We could still use at least four more teachers. We’d like three strong teaching teams. We need help with childcare, as some of the young mothers come with small children. Wisdom and direction as to when, who and how we should go about starting up citizenship and GED classes. We couldn’t do this ministry without a strong team of prayer warriors standing with us! The good news is that even though your ESL ministry is not in a church building, you are still the church. God bless you. Praying for these needs, Dave and Dawn! Love you and excited for you about this Hispanic ministry you are able to get back into! Thank you – it’s been something that Dawn and I have enjoyed, so it is great to be back working with Hispanics and others here on the border. A church is just a building. If it stands in the way of bringing Christ to people, bring Christ to the people where they are. Jesus went out to people and blessings on you as you do the same. Of course, I pray that this will bring people into the church building as well. Thanks for your prayers – I know that the Lord hears our prayers, and he is blessing. I do make it my goal to love and follow Jesus. Thank you for letting us pray with you! This is really exciting! God bless you as you minister to and bless your community! It’s so exciting to see the Lord opening doors and blessing. I feel like I’m doing very little – it’s like the little mustard seed that starts small then grows over time. Taking Jesus to the Streets: Even More Opportunities! What is the Gospel? That’s a Good Question!